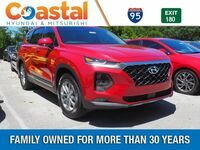 Finding your next SUV can be a difficult undertaking, especially if you have a pressing need to get a new vehicle as quickly and pain-free as possible. But this doesn’t mean you need to settle for a vehicle that doesn’t fully suit your needs or one that you haven’t fully researched. Thankfully, we have done some of your research for you here at Coastal Hyundai! We have taken two popular SUV vehicles and compared them to each other. This way you’ll be able to see the main differences between them. Hopefully this will allow you to move through the research process quickly while still obtaining a thorough understanding of which vehicle may suit your needs better. 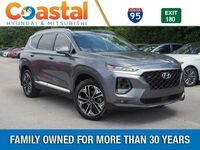 So, check out the 2019 Hyundai Santa Fe SUV and one of its main competitors; the 2019 Kia Sorento. We have taken the differences between these two vehicles and compiled them into an easy-to-read table. This way, you’ll be able to clearly see which vehicle has what features and specs. Let’s begin. 185 hp & 178 lb.-ft. Horsepower/Torque 185 hp & 178 lb.-ft.
35.9 cu. ft. Cargo Space 11.3 cu. 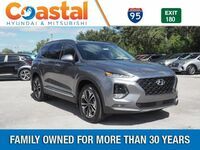 ft.
As you can see, you can potentially find yourself paying less for the 2019 Hyundai Santa Fe. The price we’ve taken is from the SE trim, which is the base model. 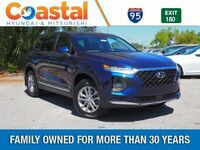 It is compared to the 2019 Kia Sorento L, which is the base trim for the Kia Sorento. So, the Santa Fe already has the advantage of starting at a lower price than the Sorento. You can also potentially find more features on the Santa Fe. This includes features such as the Adaptive Cruise Control, which is standard on the Santa Fe and available on other trims of the Sorento. 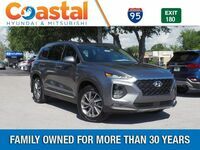 Both vehicle’s have the same horsepower and torque, but the 2019 Santa Fe has an 8-speed shiftable automatic transmission, whereas the 2019 Sorento only has a 6-speed shiftable automatic transmission. Even so, if you are looking for a greater seating capacity you’ll probably want the Sorento, which can seat 7 people. 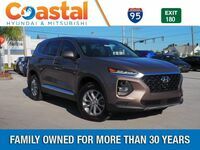 However, if you only need 5 seats, then the Santa Fe will be a great choice! 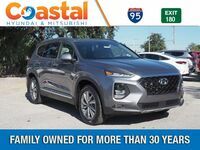 You’ll also have much more cargo space behind the last row of the Santa Fe than you will in the Sorento, which can be a plus if you are going on any trips and have all of the seats filled. Of course, there’s only so much we can say in one comparison page. 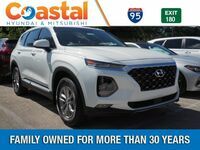 So, if you have any further questions about a Hyundai vehicle we encourage you to contact us here at Coastal Hyundai! We would love to tell you more.